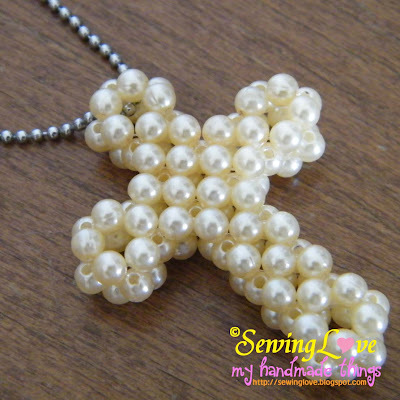 Faux pearls given by my daughter's teacher to make Cross handphone charms. I made one for myself, seen here with a ball chain. It can be wore as a pendant or hang on a key chain.